Watch out for incomming depth charges and use your canon to destroy them before they hit your sub. as it can fire stacatto barrages. Someone on the toucharcade forum has said that this works with the iCade Cabinet. Is this right? iCade and ICP and is currently pending Apple approval. It should only be another day or so before they approve it. I will post here and email you when it is approved. 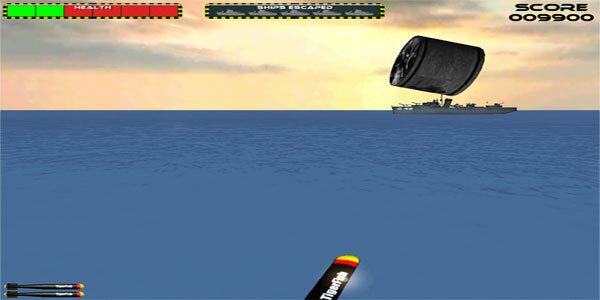 I should say that TorpedRun even in the iCade or ICP needs the touchscreen to fire the canon against the depth charges. 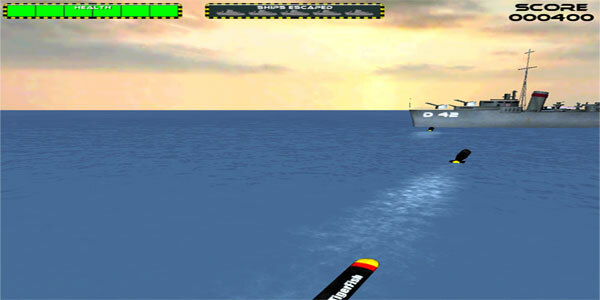 The iCade stick controls the Torpedo launcher and the B key fires a torpedo. The X key fires mines and the Y key summons health drops. You are allowed 3 mines in play at any given time and they take 10 seconds to prepare for launch. Health drops take 6 minutes to recharge before you can call for another one. 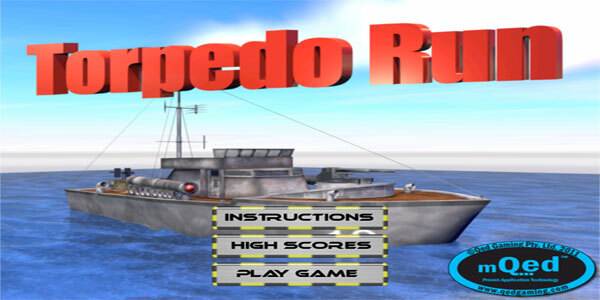 All in all playing the game in iCade mode makes the game slightly easier as one hand can fire torpedo’s whilst the other defends against depth charges. Also I use the ICP to play the game whilst my 6 year old uses the screen to shoot charges. All makes for a lot more fun in my opinion.